Blonde Brunette Productions return with BANG BOOM BASH! 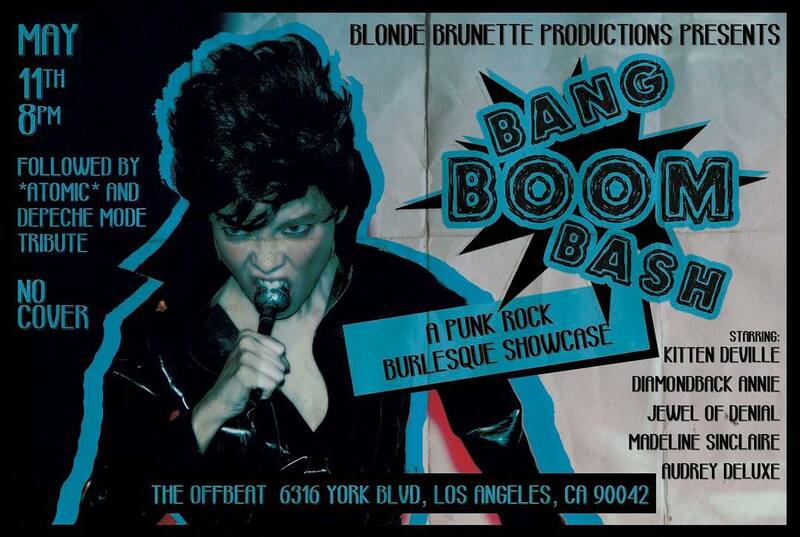 The women behind the punk rock music and burlesque festival are back with a showcase of punk rock burlesque and music! Our festival featured The Dictators NYC, Swingin Utters, JFA, Punk Rock Karaoke, and Rikk Agnew Band to name a few. This time we feature some of LA’s biggest names in burlesque and biggest lovers of punk rock.